It's been so long since I've had pancakes ?? 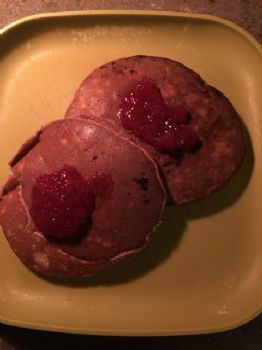 These are chocolate protein pancakes. 1/2 banana, 1 egg, and 1/2 scoop vegan chocolate protein powder. 1 tablespoon organic strawberry jam. Yum.